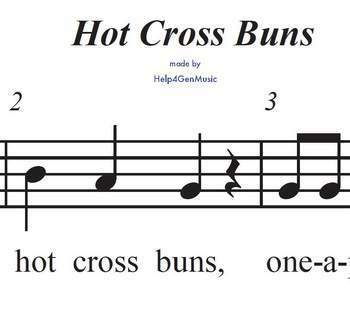 Free download of professionally notated printed music of Hot Cross Buns. Try this classic recorder song with our new rock accompaniment track available right here in our Help4GenMusic store on TpT. Get your students engaged and jammin'!